We are loving the cowboy trend right now, and especially for those warm Spring days. A cute skirt with ruffles and floral print combined with some super cool cowboy boots is always a perfect look. 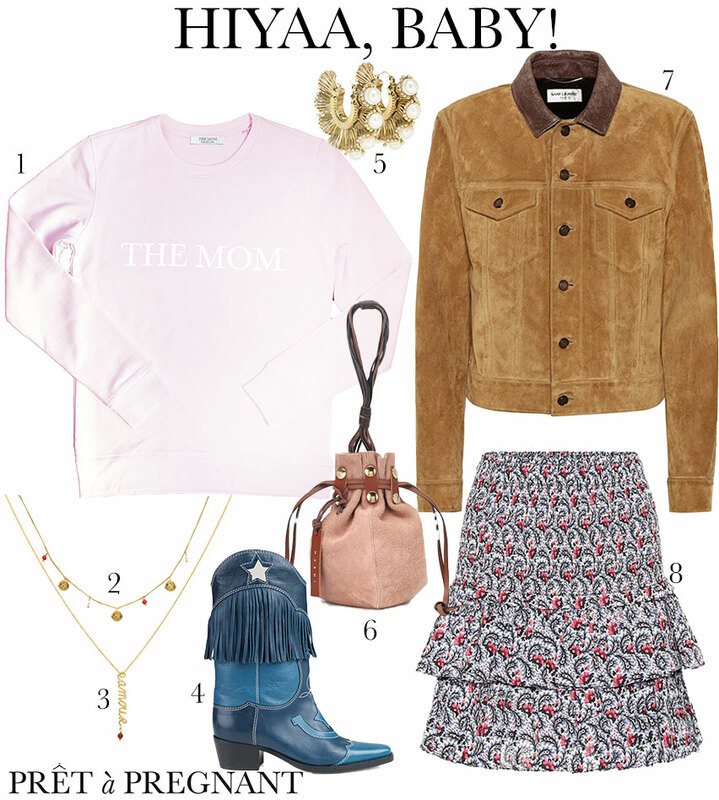 This skirt from Isabel Marant, Étoile is perfect during your pregnancy thanks to the stretchy cotton. We combined the skirt with one of our favorite sweaters from The Mom Collection in soft pink. Buy the sweater oversized so you can wear it perfectly with your baby bump, and postpartum the sweater will be super comfortable to wear. A bit of suede is the ideal fabric for a perfect western look. We chose a brown jacket from Saint Laurent and a cute bucket bag from Marni. Finish the look with some golden accessories like the necklaces from Anna + Nina. You and your baby bump will look fabulous!